Upgrade your existing VCR Video Tape Recorder with a fully Digital Video Recorder today! Never change another tape or miss a critical event again….EVER! Call now for our special prices on brand new Digital Video Recorders that you can "Plug & Play." Just unplug the camera cables from your existing VHS video recorder, plug them back into your new Digital Video Recorder and turn it on. That's it. You're done! Because of your new DVR upgrade, you will no longer be wasting your time, spending countless hours searching through piles of VHS tapes for a few seconds of video that may or may not have been recorded. No more frustration of missing an event, tapes that don’t rewind, ejected tapes, storage space for VHS tapes etc. Use your time more wisely and feel more secure in the process. 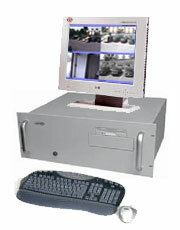 Rayco Security Loss Prevention Systems, Inc.